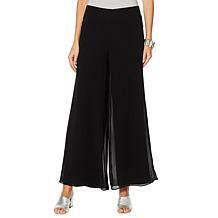 Who needs more rules when you have Marla Wynne? 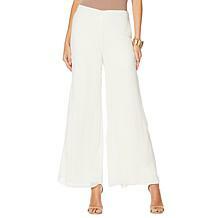 Designs that inspire and are effortless are just part of the motto, this marvelous pant transitions from work to play. 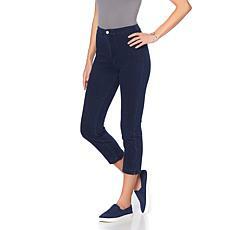 Add flats for day and pumps for night. 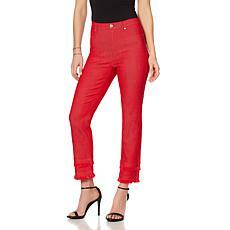 Lightweight and flattering, these pants give you the versatility you love so you can pack the denim away for a few days. Top them with your favorite tunics and tees, layer them under a blouse with a blazer or jacket for the perfectly polished look: work or play. 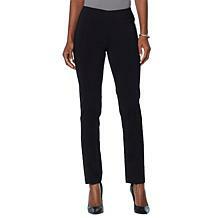 Original Slinky Brand Basic Pant Watch how quickly these classic pants become your go-to for work or social. 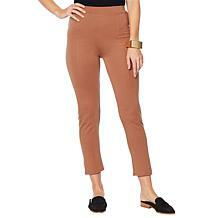 They're the perfect building block for your favorite tops and jacket, and they look great with both flats and heels. 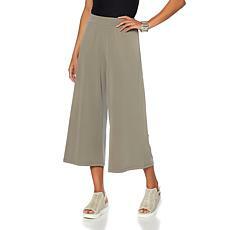 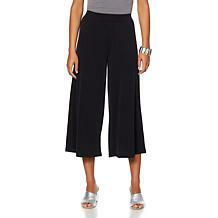 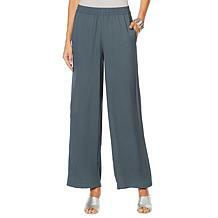 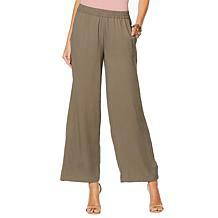 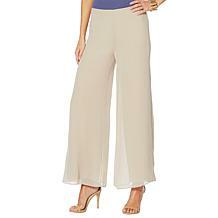 WynneLayers Washed Modal Cropped Pant Who needs more rules when you have Marla Wynne? 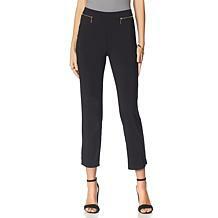 Designs that inspire and are effortless are just part of the motto, this marvelous pant transfers from work to the after hours. 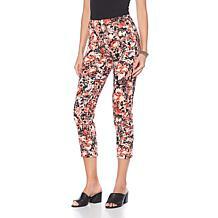 Add flats for day and pumps for night. 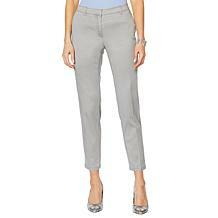 Trousers are the perfect denim upgrade and make dressing for work easy. 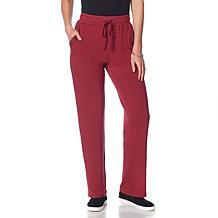 These pants have a tailored look but feature zipper pockets for added convenience and a boost of edge. 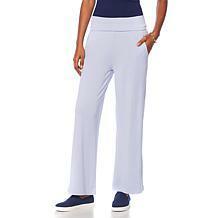 The knit is comfy and a nice weight to take you straight into fall and then right into spring. 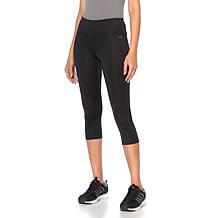 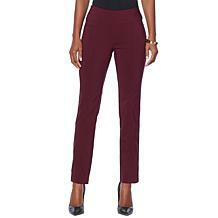 Look flawless for work or a night out in these tummy-smoothing pants. 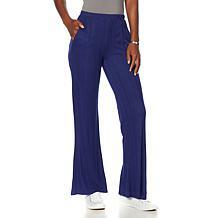 A state-of-the-art fit and shape retention fabric means you can kiss baggy knees, a saggy rear and waistband gap goodbye. 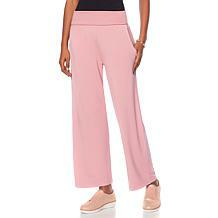 Ease and elegance starts with simplifying and streamlining your style. This pant works with your wardrobe for clean looks that maintain a seasonless appeal. Look flawless for work or a night out in the perfect go-with-everything pant. 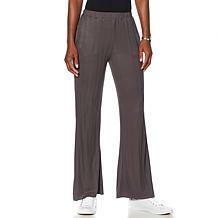 A state-of-the-art fit and shape retention fabric means you can kiss baggy knees, a saggy rear and waistband gap goodbye. 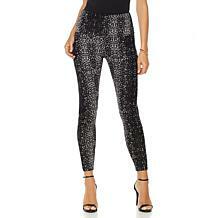 Look flawless for work or a night out in dressy shaping pants accented with a touch of metallic bling. 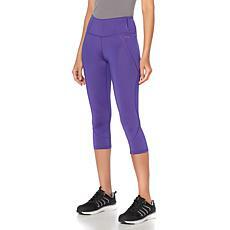 A state-of-the-art fit and shape retention fabric means you can kiss baggy knees, a saggy rear and waistband gap goodbye. 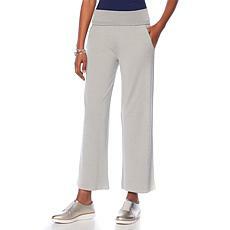 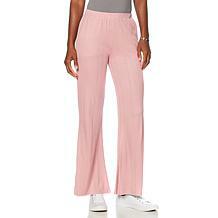 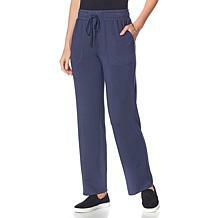 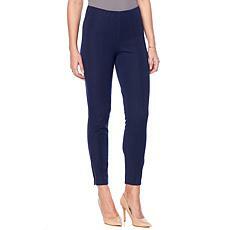 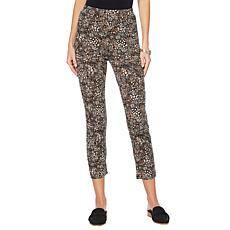 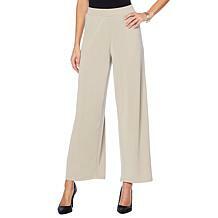 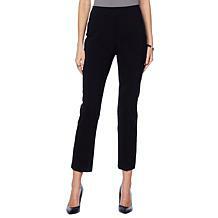 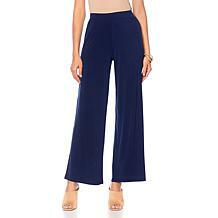 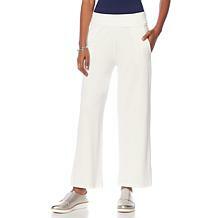 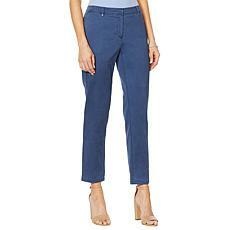 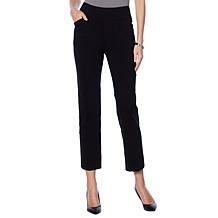 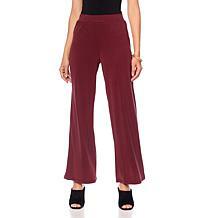 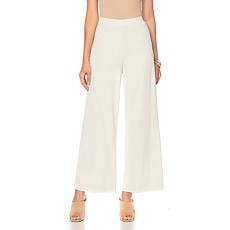 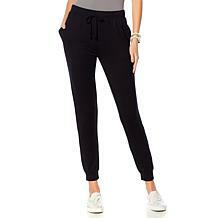 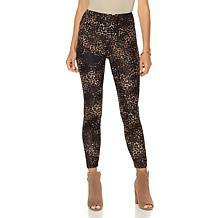 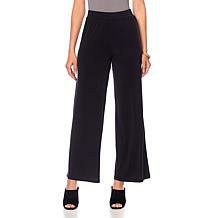 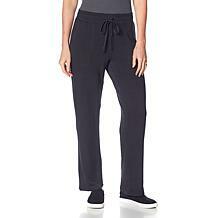 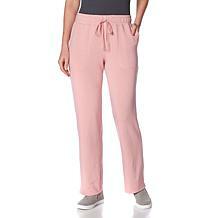 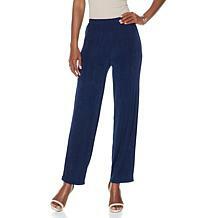 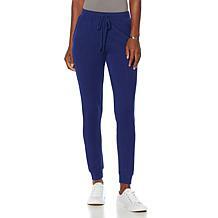 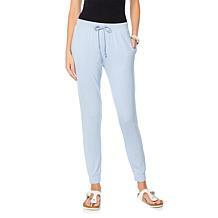 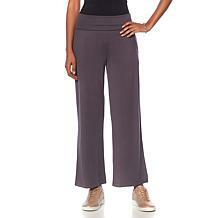 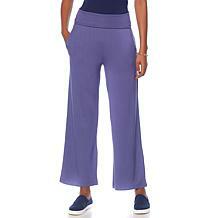 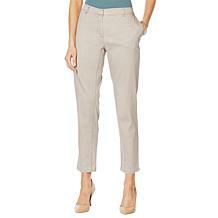 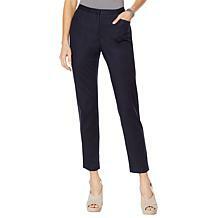 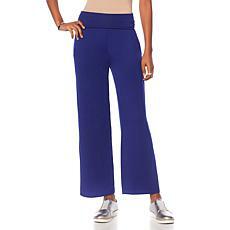 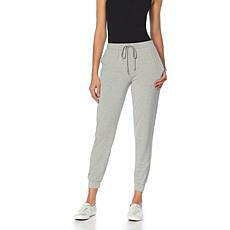 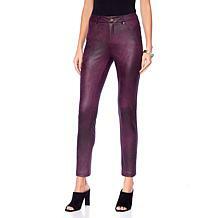 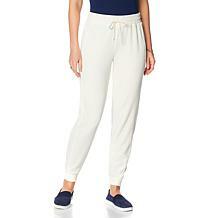 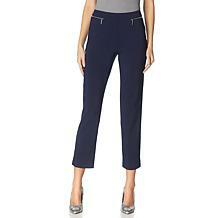 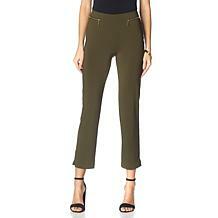 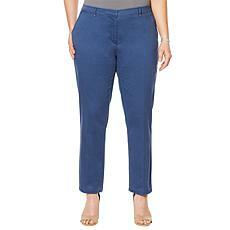 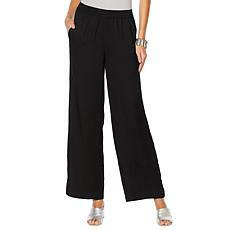 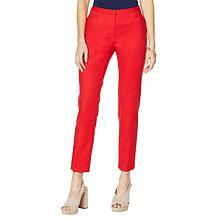 Jones NY Grace Cotton Ankle Pant - Plus Stay polished and comfortable in Jones New York's Grace ankle pant. 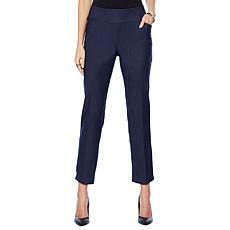 You'll love the silky feel and modern stretch that can take you from work to dinner. 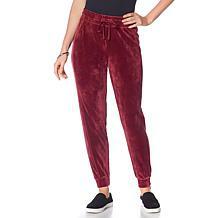 Nothing says holiday time like this set from Slinky. A glittery top and a slim pant meet in the middle to give you the perfect ensemble for work and the weekend. If you could have a pant that feels like a legging, works like shapewear and is as stylish as ever, would you want one? Or many? 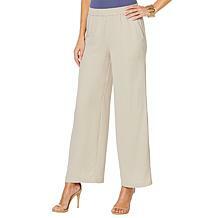 This cigarette pant features a cropped length to give you just the amount of versatility you want. You'll wonder what you ever did without a pair. 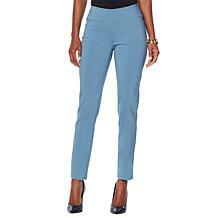 You recognize high quality when you see it (and so do others). 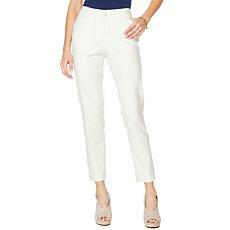 Open the box to a beautiful, flattering pant perfect for work or going out. 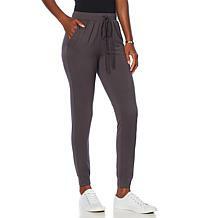 It has just a bit of stretch — enough for comfort and resiliency. 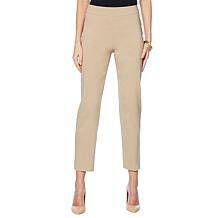 Complete your utilitarian looks with this twill pull-on pant. 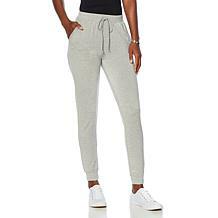 Exposed metal zippers accent the ankle-length silhouette, which works great with all types of shoes, no hemming or rolling required. 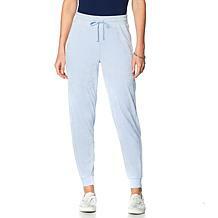 Comfort is easy but doing it stylishly can be a feat. 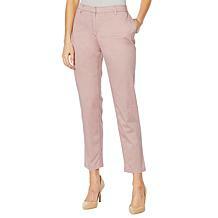 This pull-on pant works with your staples for office days and weekends too. We love a good find, and this one is it! 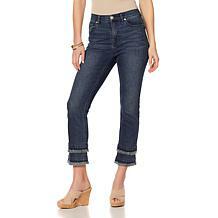 Unkempt is okay when it comes to jeans. 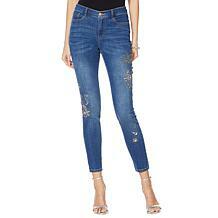 Double your impact with cropped jeans frayed twice for a layered effect. 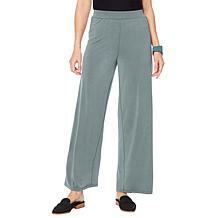 Work this style into your rotation, pairing them with everything from mules to pumps depending on how casual or dressy you want to look. 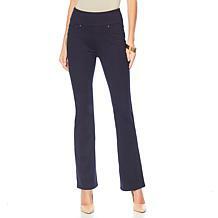 Every wardrobe needs a classic and flattering jean. The High Rise is a showstopper day or night and gives you the versatility to work in them or week-end in them.